John Dorney remembers the abortive republican insurrection of 1867. The young men, who may have numbered up to 8,000, were Fenians – members of the Irish Republican Brotherhood and this was the day of a long-planned-for insurrection aimed at toppling British rule and establishing an Irish Republic. As many as 10,000 armed Fenians came out in rebellion. Up to 7,000 assembled at Tallaght. We appeal to force as a last resort… unable to endure any longer the curse of a monarchical government, we aim at founding a Republic based on universal suffrage, which shall secure to all the intrinsic value of their labour. 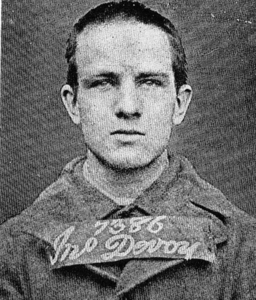 A young John Devoy, in imprisonment in 1865, captures the defiant attitude of the Fenians towards the powers in Ireland. The Fenians, most importantly, were also the first Irish movement to draw on the sympathy, wealth and military expertise of the Irish–American community. The military leaders of the 1867 Rising were Irish veterans of the Union Army in the American Civil War. In 1865, the British government suppressed the Fenian paper, The Irish People and arrested Stephens, and several hundred other activists (Stephens later escaped however). In 1866, habeus corpus, or normal, peacetime law, was suspended in Ireland. The remaining Fenian leadership, rather than see the movement go down without a fight, set about organising an insurrection for early 1867. Thomas Kelly, an Irish American Civil War veteran, was made “Deputy Central Organiser of the Irish Republic” – with responsibility for planning the rebellion. The actual military planning was done by one General Millen, another Civil War veteran. The second proposal, made by John Devoy (who was however arrested in February 1866), was based on infiltration of the Army. Fenian soldiers would mutiny and take over the military barracks in the city, as a signal for insurrection. The Fenians’ plan centred on Dublin. The mobilisation at Tallaght was supposed to be a diversion from an uprising in the city. What Millen settled on in the end was two-stage plan. In the first stage, the Fenians would wage guerrilla warfare, to cut rail and road communication and, “in bands of 15-20 men…to never fight regularly against the troops or police…[but to] resort to ambuscades to cut off isolated or small parties of police or soldiers”. 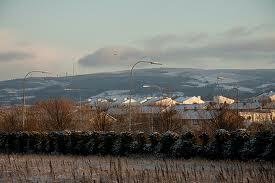 Tallaght Hill, where the Fenians were headed. The Irish Times gloated that the rebels, “who have inflicted the greatest amount of trouble on the government, loyal people and filled with alarm the isolated houses of the gentry…have shown themselves excellent at everything except actual rebellion”. William Handcock found in the plantations near his house in Tallaght, “nearly a cart-load of rifles and ammunition … Next day we got a fine pike-head and a neat little dagger, as souvenirs of the latest, and, as I hope, the last, rebellion in Ireland”. “ ‘Out there in yon hills, I’ve drilled with the boys in me time, fine boys they were, God Bless them’. ‘But the Fenians did not do much’, I said, ‘Why didn’t they fight?’ He looked me for a moment as if he was going to say something strong. ‘They were ready and willing and always waiting for the word to rise. He looked at our automatics and rifles. They’d be powerful yokes, I wish we’d had them in our time’ ”. William D Handcock, The Battle of Tallaght, in The History and Antiquities of Tallaght In The County of Dublin, 1899. The police in Ireland gained their title ‘Royal’ Irish Constabulary for their role in putting down the 1867 rebellion. At this date they were just the ‘Irish Constabulary’. For all on the planning, Takagami, Fenian Rising in Dublin. Irish Times, March 8, 1867. Handcock, History and Antiquities of Tallaght. Irish Times, March 8 1867. Handcock, History and Antiquities of Tallaght. Written by: John_Dorney on 5 March, 2011.on 22 February, 2013. 11 Responses to "Today in Irish History –The Fenian Rebellion, March 5, 1867"
Indeed. As stated in the article. Thanks for a well written informative article which I’ve come to, finding that I have an Irish ancestor, British soldier, James Fegan living with his new family on Tallaght Hill – ( baptism registers) at this time! I don’t know what regiment yet, but he is obviously feeding the family with his wages….